Singh A., and T. Delcroix, 2011. Estimating the effects of ENSO upon the observed freshening trends of the western tropical Pacific, Geophys. Res; Let., L21607, doi:10.1029/2011GL049636. von Schuckmann, K., and P.-Y. Le Traon, 2011 : How well can we derive Global Ocean Indicators from Argo data? 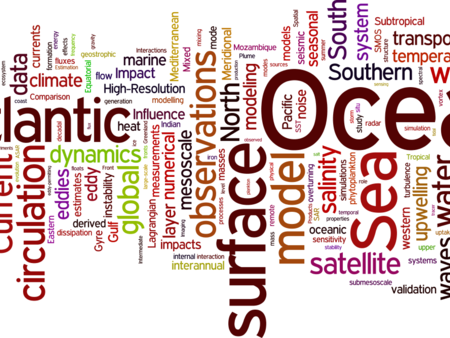 Ocean Sci., 7, 783–791, www.ocean-sci.net/7/783/2011/, doi:10.5194/os-7-783-2011. Bindoff, N.L., D. Stammer, P.Y. Le Traon, K. Trenberth, C. Mauritzen, J.A. Church, N. Smith, T. Malone, T. Suga, J. Tintoré and S. Wilson, 2010. Capabilities of Global Ocean Programmes to Inform Climate Services, World Climate Conference-3, Procedia Environmental Sciences, Volume 1, 2010, Pages 342-353. Church, J.A., D. Roemmich, C. M. Domingues, J. K. Willis, N. J. White, J. E. Gilson, D. Stammer, A. Köhl, D. P. Chambers, F. W. Landerer, J. Marotzke, J. Gregory, T. Suzuki, A. Cazenave, and P.Y. Le Traon, 2010. Ocean Temperature and Salinity Contributions to Global and Regional Sea-Level Change, 143-168, in Understanding sea level rise and variability, Editors J.A. Church, P.L. Woodworth, T. Aarup and W.S. Wilson. de Boisseson, E., V. Thierry, H. Mercier, and G. Caniaux, 2010: Mixed layer heat budget in the Iceland Basin from Argo. J. Geophys. Res., 115, C10055. Dobricic, S., N. Pinardi, P. Testor, and U. Send, 2010: Impact of data assimilation of glider observations in the Ionian Sea (Eastern Mediterranean). Dynamics of Atmospheres and Oceans, 50, 78-92. Foltz, G. R., J. Vialard, B. Praveen Kumar, and M. J. McPhaden, 2010: Seasonal Mixed Layer Heat Balance of the Southwestern Tropical Indian Ocean. Journal of Climate, 23, 947-965. Freeland, H. J. and co-authors, 2010: Argo - A Decade of Progress. Proceedings of OceanObs'09: Sustained Ocean Observations and Information for Society, J. Hall, D. E. Harrison, and D. Stammer, Eds., ESA Publications. Ganachaud, A., A. Vega, M. Rodier, C. Dupouy, C. Maes, P. Marchesiello, G. Eldin, K. Ridgway, and R. Le Borgne, 2010: Observed impact of upwelling events on water properties and biological activity off the southwest coast of New Caledonia. Marine Pollution Bulletin, 61, 449-464. Henocq, C., J. Boutin, F. Petitcolin, G. Reverdin, S. Arnault, and P. Lattes, 2010: Vertical Variability of Near-Surface Salinity in the Tropics: Consequences for L-Band Radiometer Calibration and Validation. Journal of Atmospheric and Oceanic Technology, 27, 192-209. Koch-Larrouy, A., R. Morrow, T. Penduff, and M. Juza, 2010: Origin and mechanism of Subantarctic Mode Water formation and transformation in the Southern Indian Ocean. Ocean Dynamics, doi 10.1007/s10236-010-0276-4. Le Traon, P. Y. and co-authors, 2010: GODAE OceanView: From an Experiment Towards a Long-term Ocean Analysis and Forecasting International Program. Proceedings of OceanObs'09: Sustained Ocean Observations and Information for Society, J. Hall, D. E. Harrison, and D. Stammer, Eds., ESA Publication. Lee, T., T. Awaji, M. Balmaseda, N. Ferry, Y. Fujii, I. Fukumori, B. Giese, P. Heimbach, A. Kohl, S. Masina, E. Remy, A. Rosati, M. Schodlok, D. Stammer, and A. Weaver, 2010: Consistency and fidelity of Indonesian-throughflow total volume transport estimated by 14 ocean data assimilation products. Dynamics of Atmospheres and Oceans, 50, 201-223. Llovel, W., S. Guinehut, and A. Cazenave, 2010: Regional and interannual variability in sea level over 2002Ð2009 based on satellite altimetry, Argo float data and GRACE ocean mass. Ocean Dynamics, 1-12. Pouliquen, S. and co-authors, 2010: Argo Data Management. Proceedings of OceanObs'09: Sustained Ocean Observations and Information for Society, J. Hall, D. E. Harrison, and D. Stammer, Eds., ESA Publication. Swart, S., S. Speich, I. J. Ansorge, and J. R. E. Lutjeharms, 2010: An altimetry-based gravest empirical mode south of Africa: 1. Development and validation. J. Geophys. Res., 115, C03002. Taillandier, V., S. Dobricic, P. Testor, N. Pinardi, A. Griffa, L. Mortier, and G. P. Gasparini, 2010: Integration of Argo trajectories in the Mediterranean Forecasting System and impact on the regional analysis of the western Mediterranean circulation. Journal of Geophysical Research-Oceans, 115, 17. Tanguy, Y., S. Arnault, and P. Lattes, 2010: Isothermal, mixed, and barrier layers in the subtropical and tropical Atlantic Ocean during the ARAMIS experiment. Deep-Sea Research Part I-Oceanographic Research Papers, 57, 501-517. Vivier, F., D. Iudicone, F. Busdraghi, and Y.-H. Park, 2010: Dynamics of sea-surface temperature anomalies in the Southern Ocean diagnosed from a 2D mixed-layer model. Climate Dynamics, 34, 153-184. Boutin, J. and L. Merlivat, 2009: New in situ estimates of carbon biological production rates in the Southern Ocean from CARIOCA drifter measurements. Geophysical Research Letters, 36, 6. Cummings, J., L. Bertino, P. Brasseur, I., Fukumori, M. Kamachi, M. Martin, K. Mogensen, P. Oke, C. E. Testut, J. Verron and A. T. Weaver, 2009: Ocean data assimilation systems for GODAE. Oceanography, 22, 96-109. Daget, N., A. T. Weaver and M. A. Balmaseda, 2009: Ensemble estimation of background-error variances in a three-dimensional variational data assimilation system for the global ocean. Q. J. R. Meteorol Soc., 135, 1071-1094, DOI: 10.1002/qj.412. Dombrowsky, E., L. Bertino, G. B. Brassington, E. P. Chassignet, F. Davidson, H. E. Hurlburt, M. Kamachi, T. Lee, M. J. Martin, S. Mei, and M. Tonani, 2009: GODAE Systems in Operation. Oceanography, 22, 80-95. Gaillard, F., E. Autret, V. Thierry, P. Galaup, C. Coatanoan, and T. Loubrieu, 2009: Quality Control of Large Argo Datasets. Journal of Atmospheric and Oceanic Technology, 26, 337-351. Guinehut, S., C. Coatanoan, A.-L. Dhomps, P.-Y. Le Traon and G. Larnicol, 2009: On the use of satellite altimeter data in Argo quality control, J. Atmos. Oceanic. Technol, Vol. 26, No. 2, pp 395-402. Lankhorst, M., D. Fratantoni, M. Ollitrault, P. Richardson, U. Send, and W. Zenk, 2009: The mid-depth circulation of the northwestern tropical Atlantic observed by floats. Deep-Sea Research Part I-Oceanographic Research Papers, 56, 1615-1632. Le Traon, P. Y., G. Larnicol, S. Guinehut, S. Pouliquen, A. Bentamy, D. Roemmich, C. Donlon, H. Roquet, G. Jacobs, D. Griffin, F. Bonjean, N. Hoepffner, and L. A. Breivik, 2009: DATA ASSEMBLY AND PROCESSING FOR Operational Oceanography 10 YEARS OF ACHIEVEMENTS. Oceanography, 22, 56-69. McPhaden, M., J., G. R. Foltz, V. S. N. Murty, M. Ravichandran, G. A. Vecchi, J. Vialard, J. D.. Wiggert and L. Tu, 2009: Ocean-Atmosphere Interactions During Cyclone Nargis, Eos Trans. AGU, 90, 53-54. Oke, P. R., M. A. Balmaseda, M. Benkiran, J. A. Cummings, E. Dombrowsky, Y. Fujii, S. Guinehut, G. Larnicol, P. Y. Le Traon, and M. J. Martin, 2009: OBSERVING SYSTEM EVALUATIONS USING GODAE SYSTEMS. Oceanography, 22, 144-153. Roemmich, M. Belbeoch, P.J.V. Belchi, H. Freeland, W.J. Gould, F. Grant, M. Ignaszewski, B. King, B. Klein, K.A. Mork, W.B. Owens, S. Pouliquen, M. Ravichandran, S. Riser, A. Sterl, T. Suga, M.-S. Suk, P. Sutton, V. Thierry, P.-Y. LeTraon, S. Wijffels, J. Xu, 2009: Argo: the challenge of continuing 10 years of progress. Oceanography Magazine, vol 22, 3, 46-55. Vage, K., R. S. Pickart, V. Thierry, G. Reverdin, C. M. Lee, B. Petrie, T. A. Agnew, A. Wong, and M. H. Ribergaard, 2009: Surprising return of deep convection to the subpolar North Atlantic Ocean in winter 2007-2008. Nature Geoscience, 2, 67-72. Vialard, J., J-P. Duvel, M. McPhaden, P. Bouruet-Aubertot, B. Ward, E. Key, D. Bourras, R. Weller, P. Minnett, A. Weill, C. Cassou, L. Eymard, T. Fristedt, C. Basdevant, Y. Dandoneau, O. Duteil, T. Izumo, C. de Boyer Montégut, S. Masson, F. Marsac, C. Menkes, S. Kennan, 2009, Cirene: Air Sea Interactions in the Seychelles-Chagos thermocline ridge region, Bull. Am. Met. Soc., 90, 45-61. Von Schuckmann, K., F. Gaillard, and P. Y. Le Traon, 2009: Global hydrographic variability patterns during 2003-2008. Journal of Geophysical Research-Oceans, 114, 17. Wiggert, J.D., J. Vialard, and M.J. Behrenfeld, 2009: Basin-wide modification of dynamical and biogeochemical processes by the Indian Ocean Dipole. In: Indian Ocean Biogeochemical Processes and Ecological Variability, J.D.Wiggert, R.R. Hood, S.W.A. Naqvi, S.L. Smith, and K.H. Brink (ed. ), American Geophysical Union, Washington, D. C, in press. Barré, N., Provost, C., Sennechael, N., Lee, J.H. Circulation in the Ona Basin, southern Drake passage (2008) Journal of Geophysical Research C: Oceans, 113 (4), art. no. C04033.Cazenave A., K. Dominh, S. Guinehut, E. Berthier, W. Llovel, G. Ramillien, M. Ablain and G. Larnicol, 2008: Sea level budget over 2003-2008: A reevaluation from GRACE space gravimetry, satellite altimetry and Argo, Glob. Planet. Change, doi:10.1016/j.gloplacha.2008.10.004. Forget, G., H. Mercier, B. Ferron, 2008: Combining Argo Profiles with a general circulation model in the North Atlantic. Part 1: Realistic transports and improved hydrography, between spring 2002 and spring 2003. Ocean Modelling, 20 (1), 17-34. Forget, G., H. Mercier, B. Ferron, 2008: Combining Argo Profiles with a general circulation model in the North Atlantic. Part 2: Estimation of hydrographic and circulation anomalies from synthetic profiles, over a year. Ocean Modelling, 20 (1), 1-16. Gourdeau, L., Kessler, W.S., Davis, R.E., Sherman, J., Maes, C., Kestenare, E. Zonal jets entering the coral sea (2008) Journal of Physical Oceanography, 38 (3), pp. 715-725. Maes, C. 2008: On the ocean salinity stratification observed at the eastern edge of the equatorial Pacific warm pool. Journal of Geophysical Research, 113, C03027, doi: 10.1029/2007JC004297. Sallée, J.B., K. Speer, and R. Morrow, 2008: Response of the Antarctic Circumpolar Current to Atmospheric Variability. Journal of Climate, 21 (12), 3020-3039. Schroeder, K., V. Taillandier, A. Vetrano, and G.P. Gasparini, 2008: The circulation of the western Mediterranean Sea in spring 2005 as inferred from observations and from model outputs. Deep-Sea Research Part I, 55 (8), 947-965. Thierry, V., E. de Boisséson and H. Mercier, 2008: Interannual variability of the Subpolar Mode Water properties over the Reykjanes Ridge during 1990-2006. Journal of Geophysical Research, 113, C04016, doi:10.1029/2007JC004443. Vialard, J., G. Foltz, M. McPhaden , J-P. Duvel and C. de Boyer Montégut, 2008, Strong Indian Ocean sea surface temperature signals associated with the Madden-Julian Oscillation in late 2007 and early 2008, Geophys. Res. Lett.,35, L19608, doi:10.1029/2008GL035238. de Boyer Montégut, C., J. Vialard, S.S.C. Shenoi, D. Shankar, F. Durand, C. Ethé and G. Madec, 2007, Simulated seasonal and interannual variability of mixed layer heat budget in the northern Indian Ocean, Journal of Climate, 20, 3249-3268. Penduff, T. M. Juza, and B. Barnier, 2007: Assessing the realism of ocean simulations against hydrography and altimetry. Clivar Exchanges, No 42 (vol 12 No 3), 11-12. Maes, C., L. Gourdeau, X. Couvelard, and A. Ganachaud, 2007: What are the origins of the Antarctic Intermediate Waters transported by the North Caledonian Jet? Geophys. Res. Lett., 34, L21608, doi:10.1029/2007GL031546. Reverdin, G. P. Blouch, J. Boutin, et al, 2007: Surface salinity measurements – COSMOS 2005 experiment in the Bay of Biscay. Journal of Atmospheric and Oceanic Technology 24 (9): 1643-1654. Boutin J. and N. Martin, ARGO upper salinity measurements : perpectives for L-band radiometers calibration and retrieved sea surface salinity validation, Geosciences and Remote Sensing Letters, (3) 202−206, 2006. Griffa, A., Molcard, A., Raicich, F., Rupolo, V. Assessment of the impact of TS assimilation from ARGO floats in the Mediterranean Sea (2006) Ocean Science, 2 (2), pp. 237-248. Guinehut, S., P.-Y. Le Traon and G. Larnicol, 2006 : What can we learn from Global Altimetry/Hydrography comparisons ?, Geophys. Res. Lett, 33, L10604, doi:10.1029/2005GL025551. 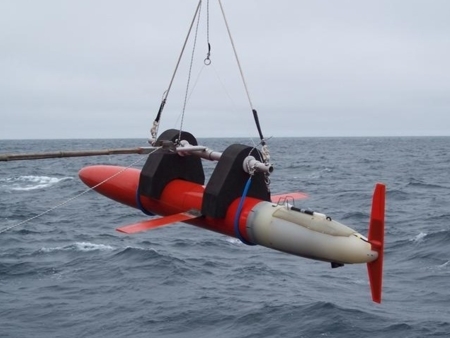 Taillandier V, Griffa A. , 2006: Implementation of position assimilation for ARGO floats in realistic Mediterranean Sea OPA model and twin experiment testing, Ocean Sciences 2(2), 223­-236. Bouruet-Aubertot, P., H. Mercier and F. Gaillard, 2005: Evidence of strong inertia-gravity wave activity during POMME experiment. J. Geophys. Res., 110 (C7): Art. No. C07S06. Caniaux, G, Giordani, H., Prieur, L., Hernandez, F., 2001: Observations of an Intense Anticyclonic Warm Eddy in the Newfoundland Basin. Geophysical Research Letters, 28, 2649-2652. Durand, F., Reverdin, G. A statistical method for correcting salinity observations from autonomous profiling floats: An ARGO perspective (2005) Journal of Atmospheric and Oceanic Technology, 22 (3), pp. 292-301. Gaillard, F., H. Mercier and C. Kermabon, 2005: A synthesis of POMME physical data set: one year monitoring of the upper layer. J. Geophys. Res., 110, C07S07, doi:10.1029/2004JC002764 . Guinehut, S., G. Larnicol, and P.-Y. Le Traon, 2002: Design of an array of profiling floats in the North Atlantic from model simulations, J. Mar. Sys., 35, 1-9. Guinehut, S., P.-Y. Le Traon, G. Larnicol and S. Philipps, 2004: Combining Argo and remote-sensing data to estimate the ocean three-dimensional temperature fields- A first approach based on simulated observations, J. Mar. Sys., 46 (1-4), 85-98. Marchand, P., Servain, J. NOR-50: Fast research vessel for operational oceanography: Implementing PIRATA & argo programs in the tropical & South Atlantic in a practical, economic way (2002) Sea Technology, 43 (6), pp. 49-54. Núñez-Riboni, Ismael, Olaf Boebel, Michel Ollitrault, Yuzhu You, Philip L. Richardson and Russ Davis, 2005: Lagrangian circulation of Antarctic Intermediate Water in the subtropical South Atlantic. Deep-Sea Research II, 52/3-4 545-564. Roemmich, D., Boebel, O., Desaubies, Y., Freeland, H., King, B., Le Traon, P.-Y., Molinari, R.L., Owens, W.B., Riser, S., Send, U., Takeuchi, K., Wijffels, S., 2001: Argo - The global Array of profiling floats. pp248-258 In. Observing the Oceans in the 21st Century. Eds Chester J Koblinsky and Neville R. Smith. GODAE Project Office, Bureau of Meteorology, Melbourne, Australia. ISBN 0642 70618 2. Roemmich, D., Riser, S., Davis, R., Desaubies, Y. Autonomous profiling floats: Workhorse for broad-scale ocean observations (2004) Marine Technology Society Journal, 38 (2), pp. 21-29.